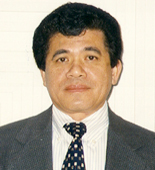 U.S. Iimmigration Updates, Articles, Columns on Basta Pinoy News - Florida Filipino Newspaper. Will H-1B Quota Run Out in Two Days? By Reuben S. Seguritan, Esq. Speculations are rife that H-1B numbers will run out within two (2) days from the start of the filing period on April1. According to the American Immigration Lawyers Association (AILA), many attorneys are assuming that this projection is true even if this could not be verified. US employers who wish to sponsor H-1B workers have been advised to file their I-120 petitions right away. The USCIS will begin to accept H-1B petitions for Fiscal Year 2008 on April 1 and the H-1B numbers will be available on October 1. In the event the number of H-1B petitions received on the first two (2) filing days will be sufficient to meet the FY 2008 cap, the US Citizenship and Immigration Service (USCIS) will use the “random selection lottery” to determine which petitioners will be processed. The experience during recent years when the regular H-1B numbers have dropped down to 65,000 per year is that they run out as early as May or in less than two months from the start of the filing period. Remedial legislation which added 20,000 H-1Bs per year for advanced degree holders had done little to alleviate the high demand for temporary workers among US employers. Gates also explained that the tendency of tech companies to outsource has been brought about by immigration restrictions. The anticipated rush of H-1B filings for FY 2008 had presumably prompted the USCIS to issue last week direct filing instructions for I-129 forms for temporary foreign worker and I-539 forms for their dependents. The direct filing instructions appears to be geared toward facilitating the so-called bi-specialization initiative that replaced the previous system of filing employment-based petitions in any of the four service centers (in California, Nebraska, Texas or Vermont) where the principal office of the employer or the intended workplace is located. Effective April 2, 2007, the forms must be filed with either the California Service Center or the Vermont Service Center, whichever is applicable, with the correct filing address. The USCIS will post on its website the proper filing address for petitions on the basis of the intended workplace of the foreign worker. If the temporary employment will be in different locations, the state where the petitioner is located will determine the proper filing location. The USCIS has reportedly advised that “there is no advantage to submitting a petition for delivery on Saturday, March 31, as all petitions delivered on Saturday will be processed on Monday, April 2nd.” US employers, therefore, are better off filing the H-1B petitions on April 1 and not sooner.